Jaipur, April 4: Jos Buttler believes his controversial dismissal in Rajasthan Royals' first game of the IPL season was 'probably the wrong decision', adding that the current wording of the laws governing run-outs at the non-striker's end are a bit 'wishy-washy', needing further clarification. "Of course a Mankading has to be in the laws of the game because a batsman can't just run halfway down the pitch trying to get a headstart," Buttler told ESPNcricinfo. What Is Mankading? All About The Mankad Way Of Dismissal That Was Used By R Ashwin to Run Out Jos Buttler In IPL 2019. "But I do think the way the law is written, there is a bit of a grey area in that saying 'when a bowler is expected to release the ball'. That is a bit of a wishy-washy statement." IPL 2019 ‘Mankading’ Row: KXIP Skipper R Ashwin Should Have Maintained Decorum, Says BCCI. England batsman Buttler was 'Mankaded' by Kings XI Punjab captain R Ashwin at a crucial moment in the match that Rajasthan went on to lose. The manner of the dismissal created ripples across the cricketing fraternity and beyond, with many former greats of the game lambasting the Indian off-spinner for breaching the 'spirit of the game'. Buttler said it set 'a bad precedent at the start of the tournament'. "At the time I was really disappointed with it. I didn't like the style of it. I just thought it was a bad precedent at the start of the tournament. For the tournament itself. It was a really disappointing way to start the tournament," he said. The current wording of Law 41.16 states: "If the non-striker is out of his/her ground at any time from the moment the ball comes into play until the instant when the bowler would normally have been expected to release the ball, the non-striker is liable to be run out". In the case of Buttler's dismissal, that key phrase 'expected release' was a major factor in his downfall. The MCC, which initially said it was not against the spirit of the game, later backtracked on its statement, saying the act was not right. "If you look at the footage, probably the wrong decision was made because at the time he was expected to release the ball I was in my crease," Buttler said. "What was more disappointing is that suddenly, over the next two games, I found myself being really conscious of it and it is quite distracting," he said. "It is so rare that you're not normally thinking about it. I must be the only person to get out twice in that way. "It distracted me for the next couple of games which is why it was nice to get some runs in the win and get back to thinking about batting and not worrying about how I back up at the non-striker's end." 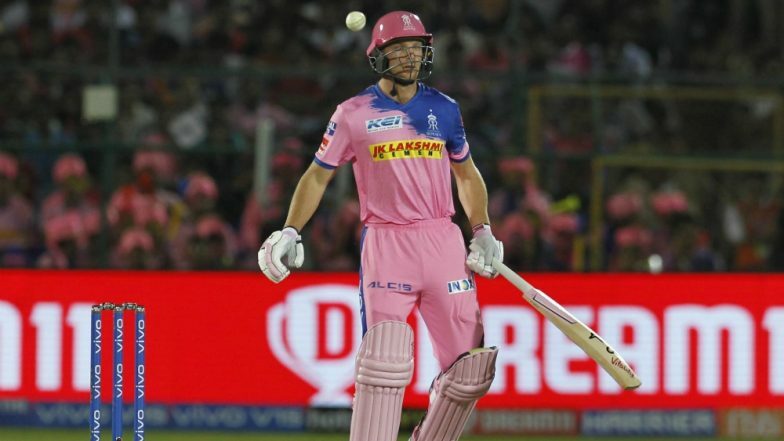 Since the incident, Buttler, who had made six half-centuries in his seven previous IPL innings prior to that, managed two single-figure scores against Sunrisers Hyderabad and Chennai Super Kings. The 28-year old then returned to form with an innings of 59 from 43 balls against Royal Challengers Bangalore, helping Royals script their first win of the season.